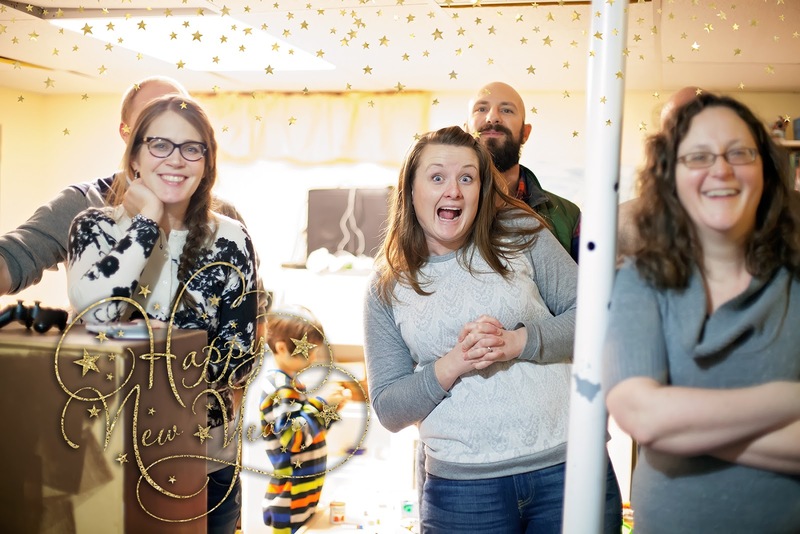 We rang in the new year with good friends - playing games, snacking, and building relationships. There are wonderful people here in Medicine Hat! Service is never convenient, but always important. 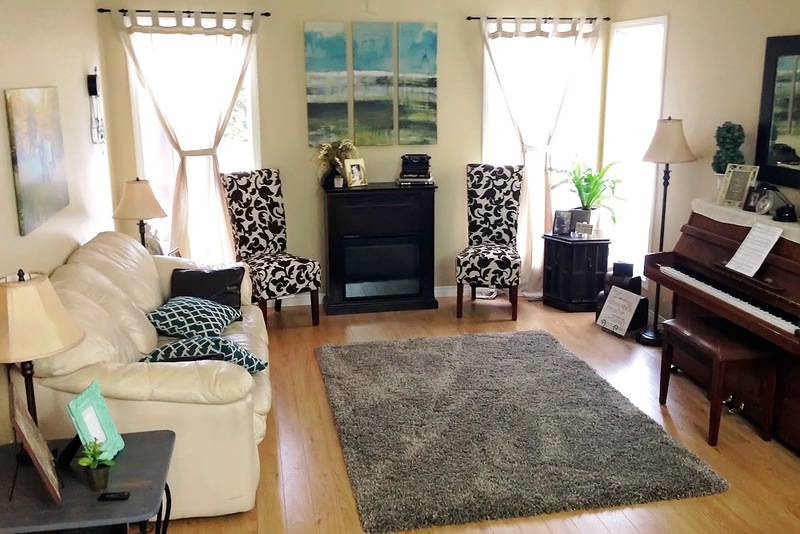 We helped a friend in our ward make a last minute move to Calgary. 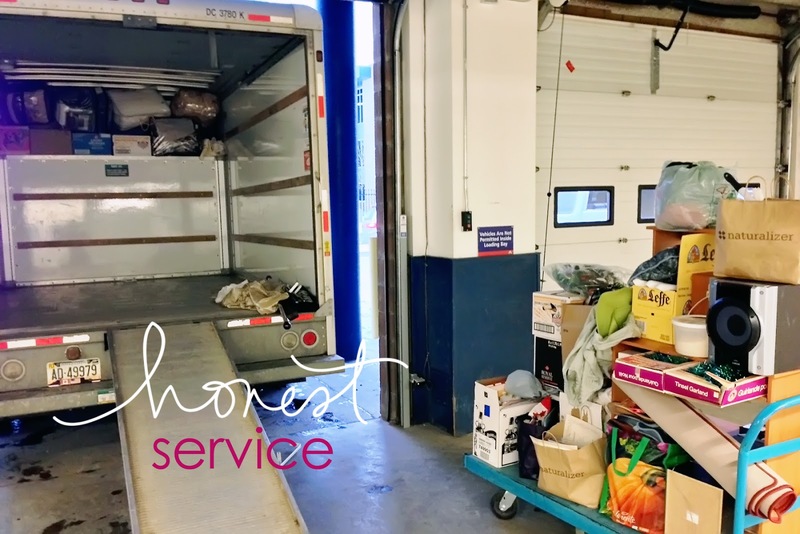 While it wasn't the best timing for us, it felt great to help. While I absolutely love our Christmas decorations being up, it's always somewhat of a relief to get them taken down and packed away, too. Back to crisp and clean! 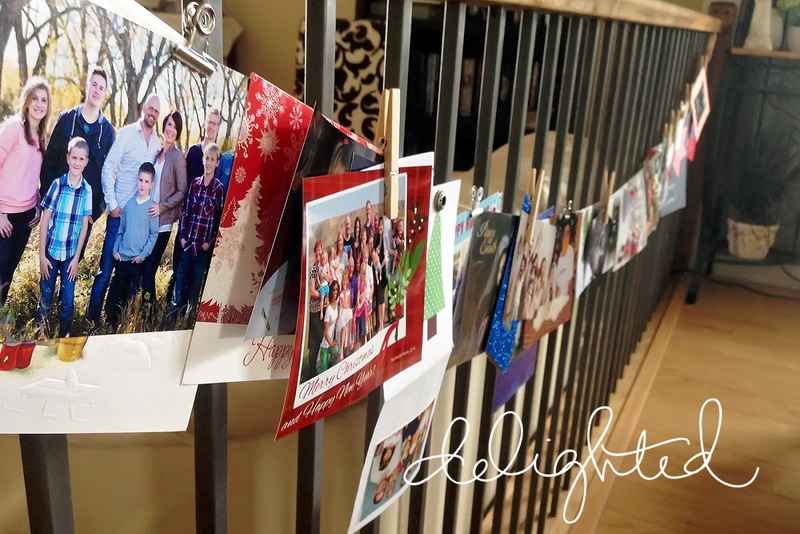 Our Christmas Card display this year - I always love looking at all of the cards and feeling the love. A very happy surprise this morning! 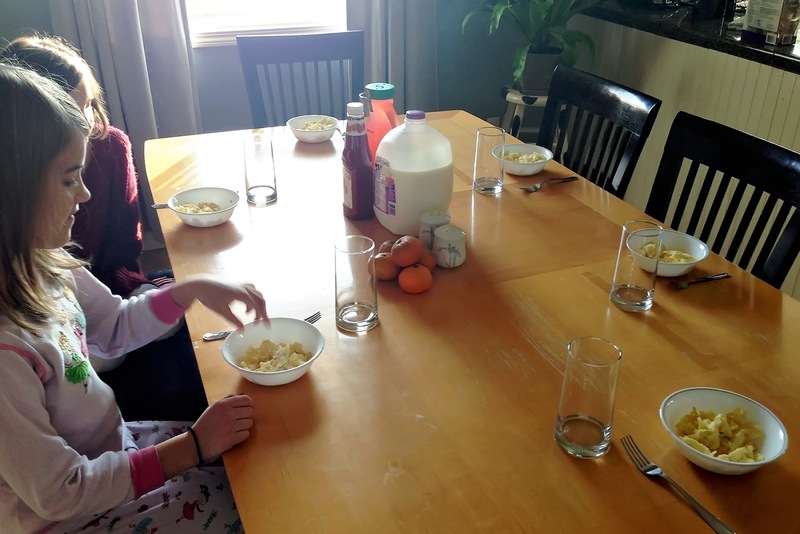 The girls made breakfast for us - including scrambled eggs, oranges, and juice. What thoughtful kids! 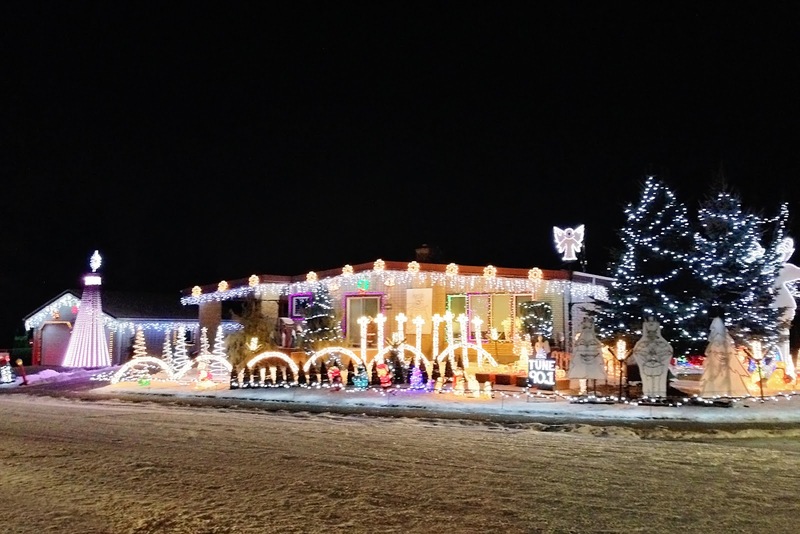 We just had to take the family to check out the amazing light display set to music put on by this member of the community. I can only imagine the amount of work that went into this! A wonderful Christmas spent with each other, opening gifts and eating treats - then had Aunt Goldie-Ann over to share Christmas dinner. Perfection. Christmas Eve tradition - New jammies! 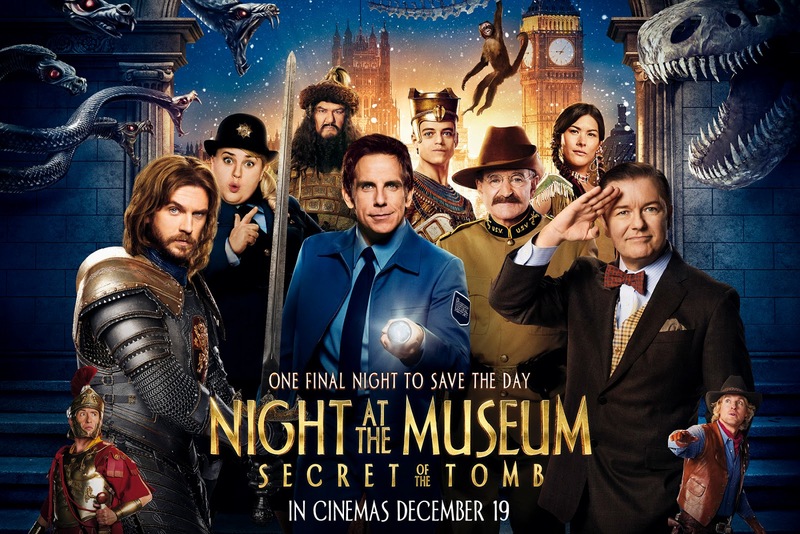 A fun evening at the movies - I took the kids to see Night at the Museum 3, then Lyndon and I went to see The final Hobbit movie in the evening. We love seeing movies as a treat. Time to unwrap a new game! 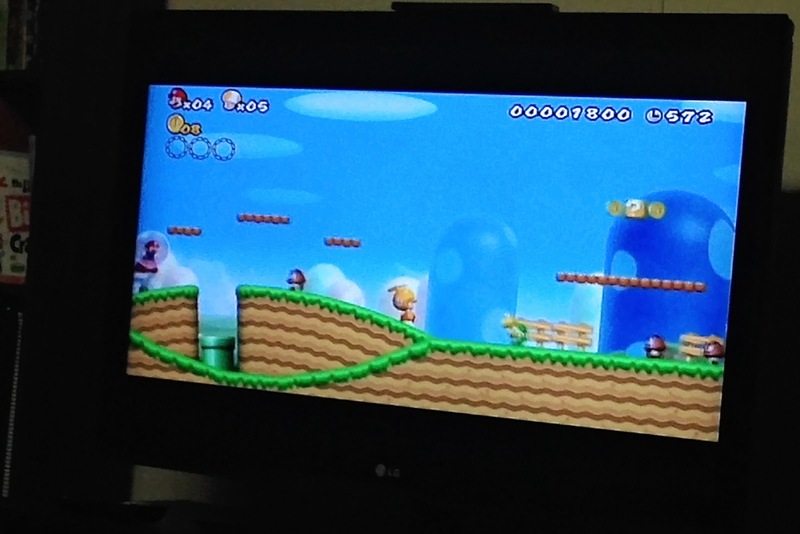 Typically when we do this, it's a boardgame that we unwrap, but this year we decided to try a new wii game that can have 4 players at a time. Huge hit with the kids! 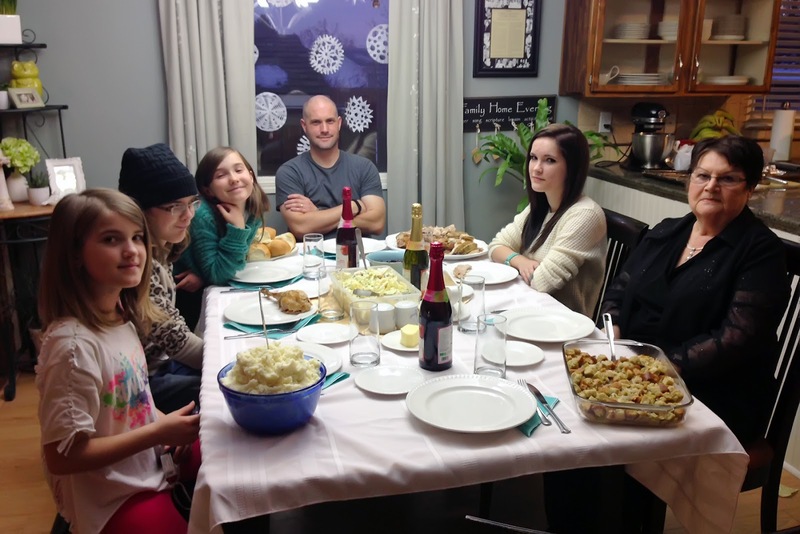 We headed to Calgary for an afternoon of eating, playing, and visiting with family. 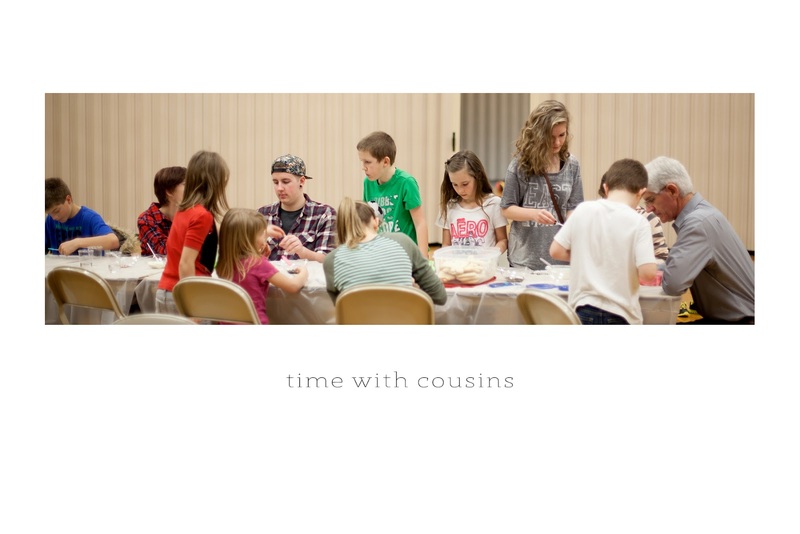 We love our relatives and want the kids to have a close relationship with their cousins. It was a great day. For our December Daily activity today, the girls each got to unwrap a new book to read. 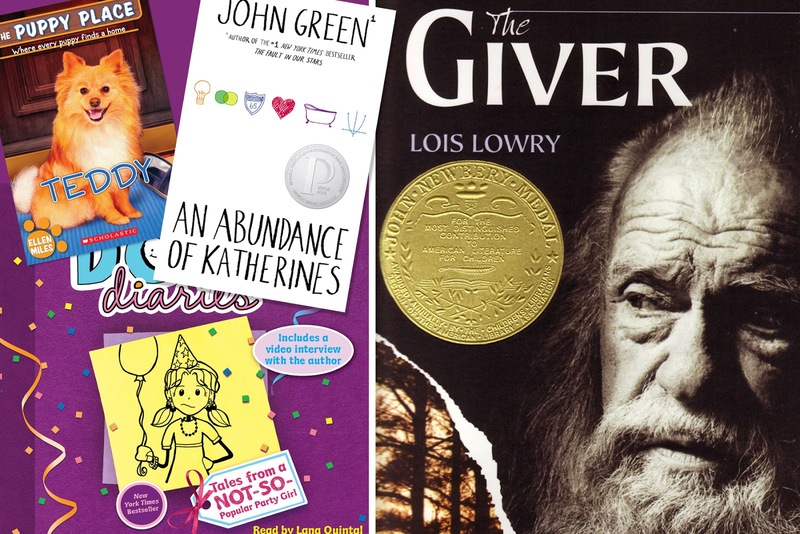 These were the books they each got and I think they were all pleased with their choices. 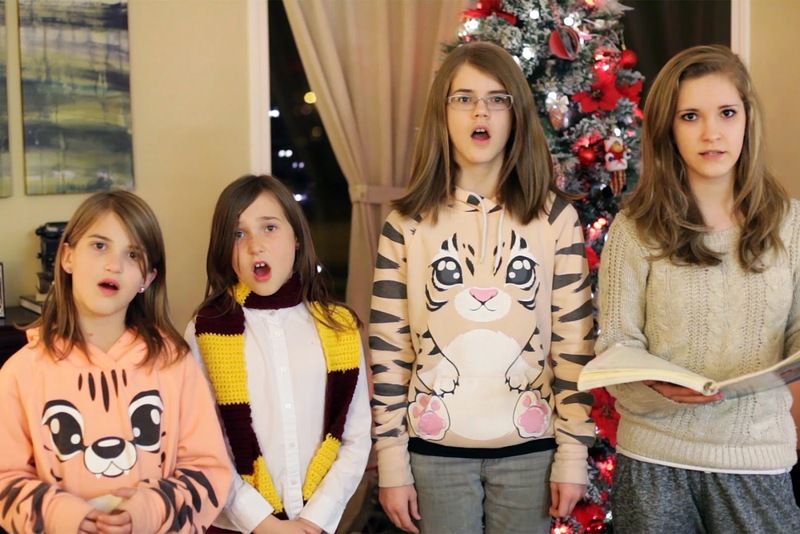 The past couple of days I have been so thrilled to watch these girls perform in their school's Christmas concerts. 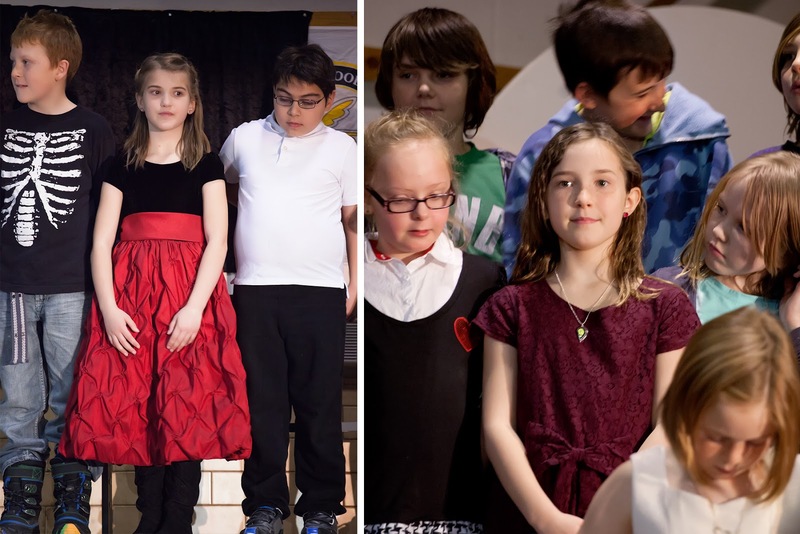 What pleased me the most was the fact that most of their songs were about the birth of Christ, which is unusual for schools, these days - sadly.They sang their hearts out and I was so impressed by the level of difficulty their songs were. They were amazing! 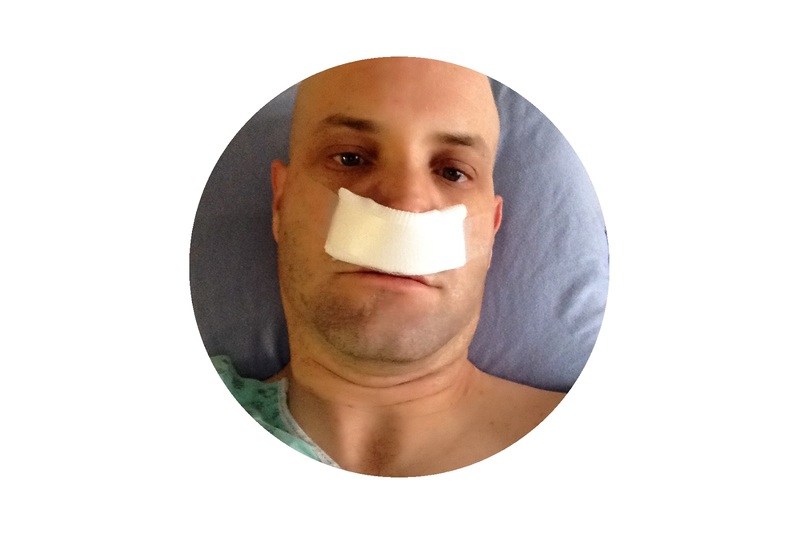 This poor guy went under the knife today to get his deviated septum repaired. As always, he was a trooper and acted like it was nothing, even though I could tell he was in pain. I hope this proves to really be an improvement for him, with his breathing issues. Love this guy! 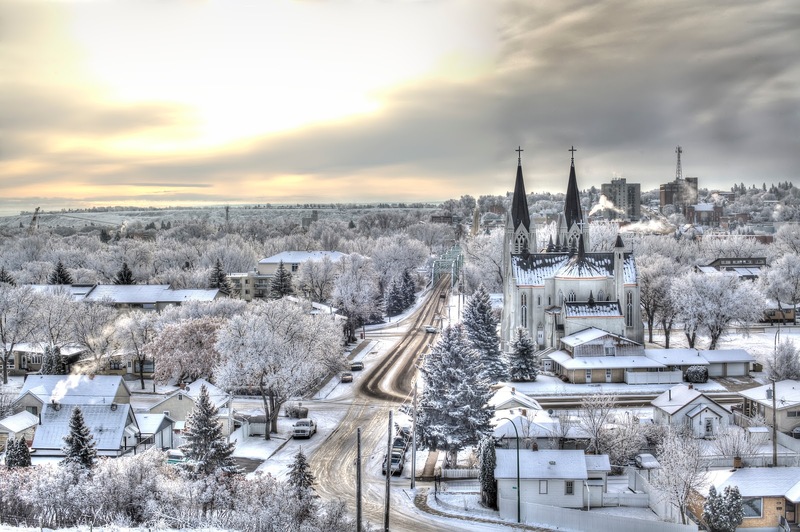 Our city has been covered in a beautiful hoar frost, so Lyndon and I went out to a spot overlooking the large church building to take some photos. I was surprised by the incredible reaction I received from this image. I knew that I loved it, but had no idea how much others would love it, too. It has become one of the most iconic photos I've taken, thus far, and I love it. Tonight we treated the family to an ice cream sundae bar. 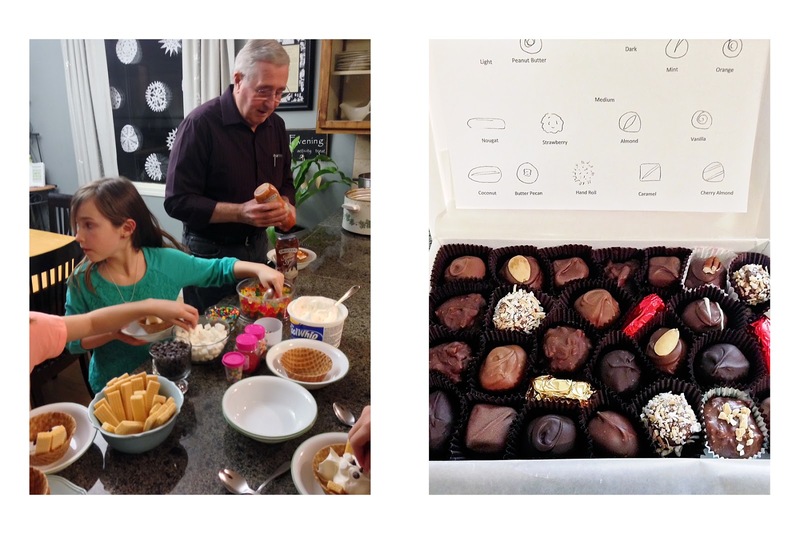 We invited Bob and Claudia over to share and they brought their famous homemade chocolates, which we love, love, love! 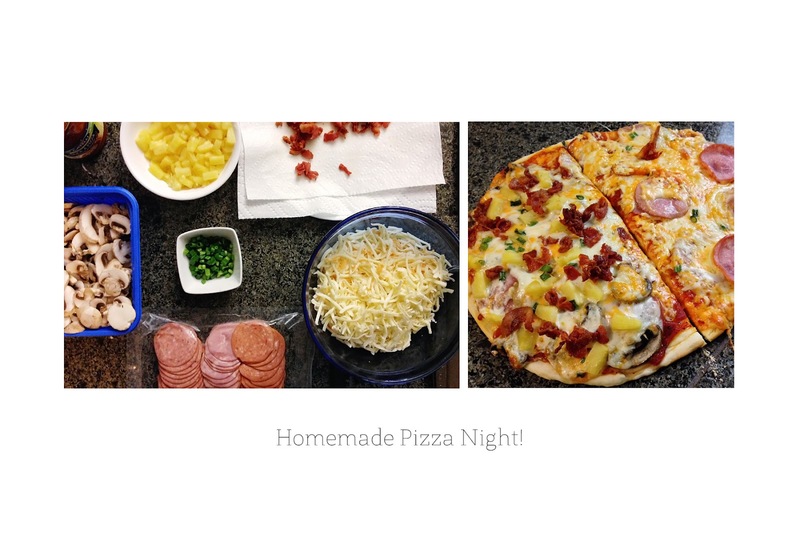 Perfect night! 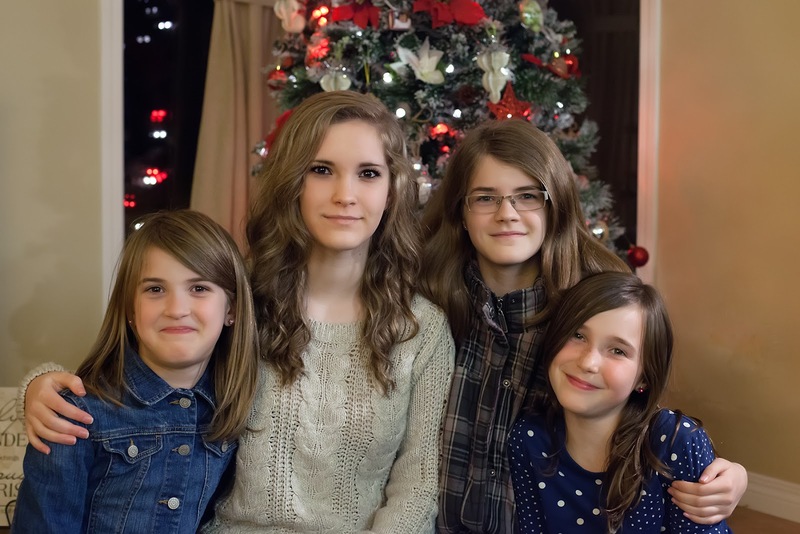 My amazing girls sang a beautiful rendition of "Mary's Lullaby" in church today, while I accompanied them on the paino. I was so pleased with their effort, which paid off in a musical number that touched those who were listening, very much. Well done! 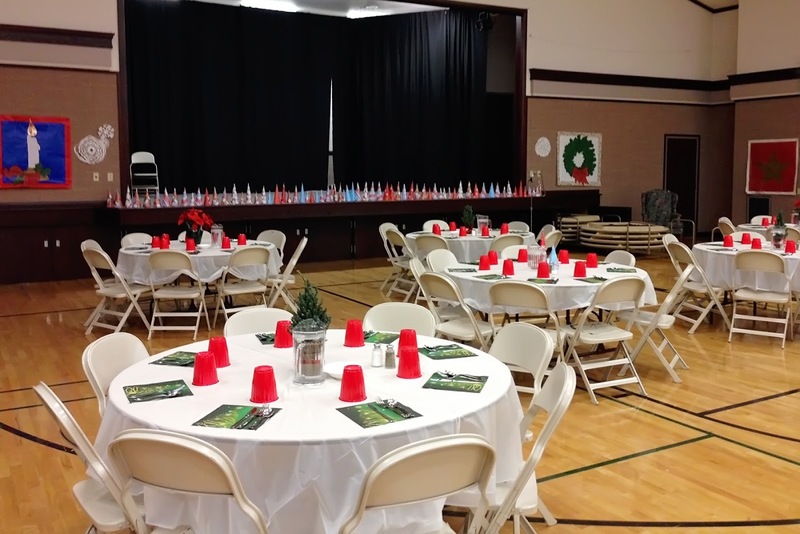 It was a very busy day today, starting with the Primary children performing some Christmas songs at a Senior's center, followed by the ward Christmas party at the church. 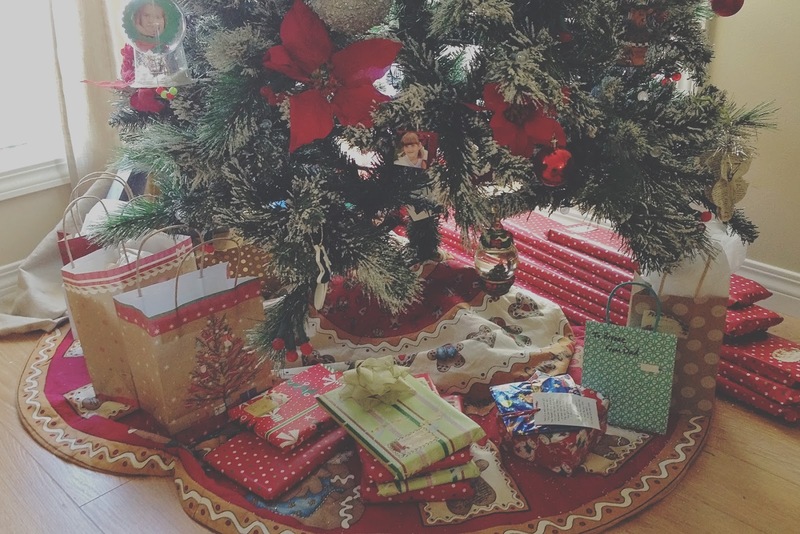 This time of year is always filled to overflowing with together time - and we love it. An Evening out with good friends. 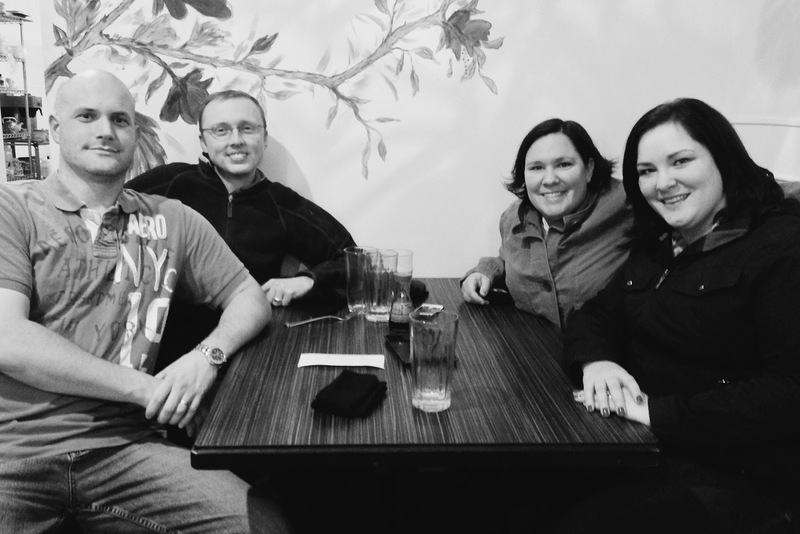 We ate at a yummy Thai place, then headed back to their house for games, desserts, and lots of laughs. Good friends are a MUST! 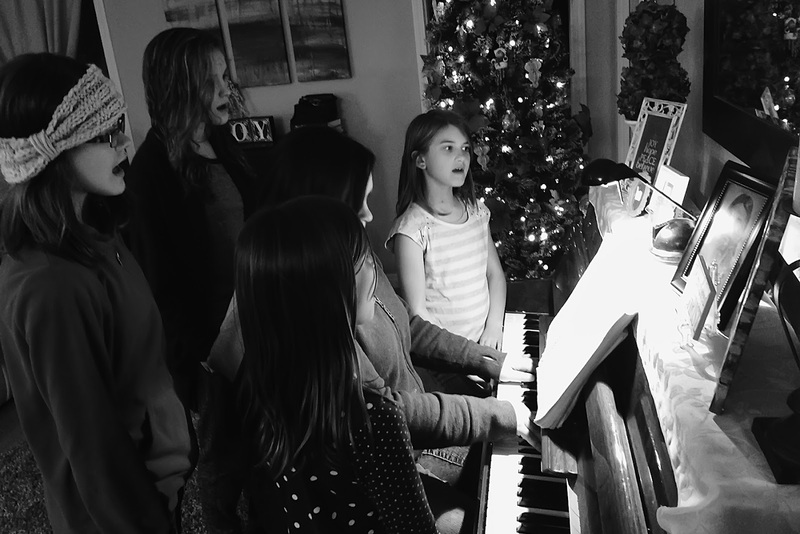 The girls recorded a beautiful Christmas song for their grandparents in B.C. along with a Christmas message for them. It's hard not being with them at Christmas time. 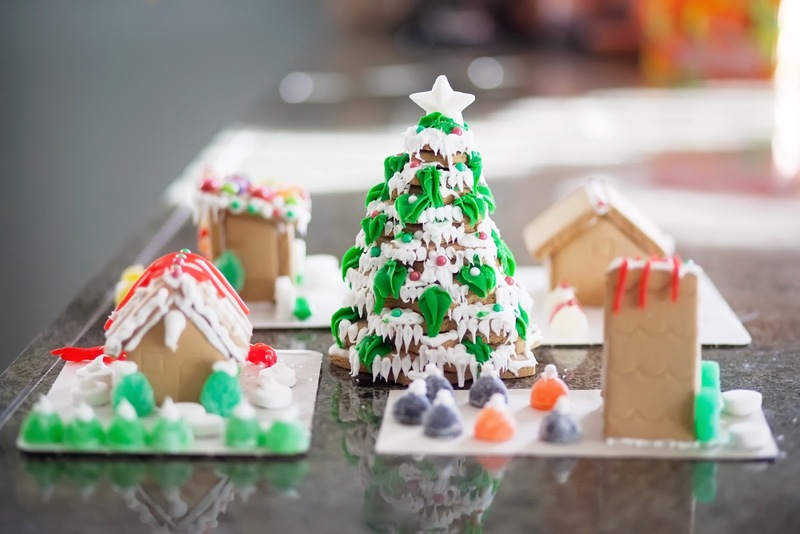 Time to decorate a little Christmas village out of gingerbread! 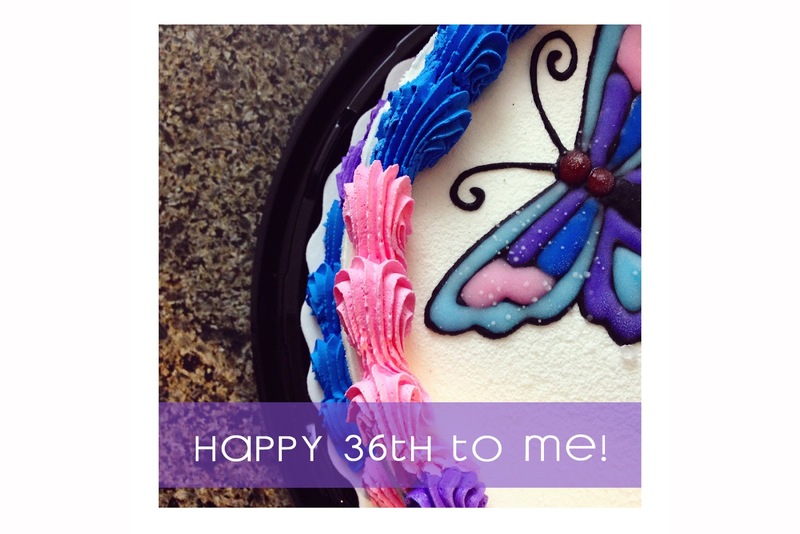 Note to self - next year, make extra icing! 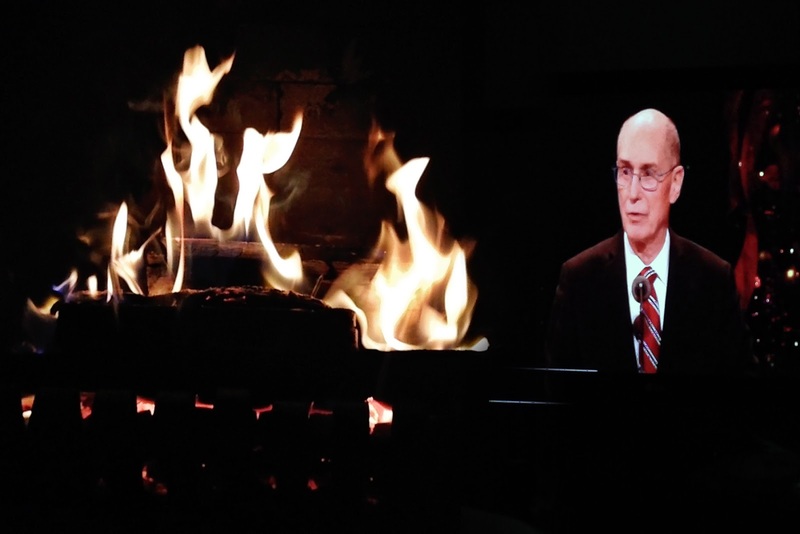 Our yearly tradition on the first Sunday in December - we watch the First Presidency Christmas Devotional. This year we watched while cuddled up by the fire in our basement. Lovely! 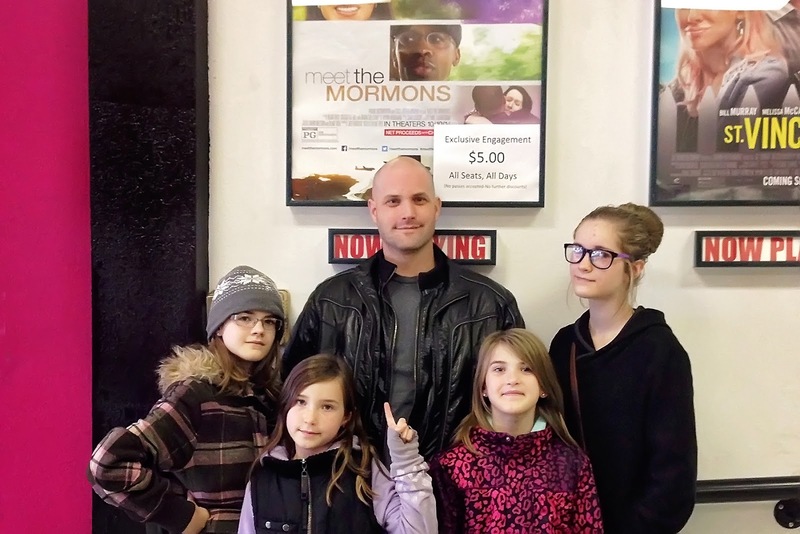 We treated the kids to a trip to Lethbridge to see "Meet The Mormons" in the theater there. It was so worth the drive and the ticket price. I felt the spirit and was reminded of the goodness of the Gospel. I know how much it has blessed my life and I am grateful to have the knowledge and testimony I have. 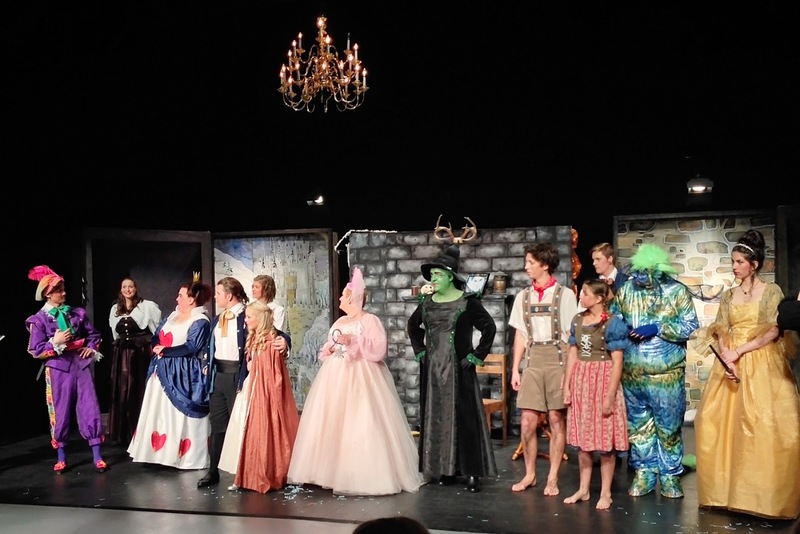 We were treated to a fun pantomime by our friend Verne Hyde, who rented out the theater for a select few friends and clients. It was so much fun and lots of laughs. We had a blast. 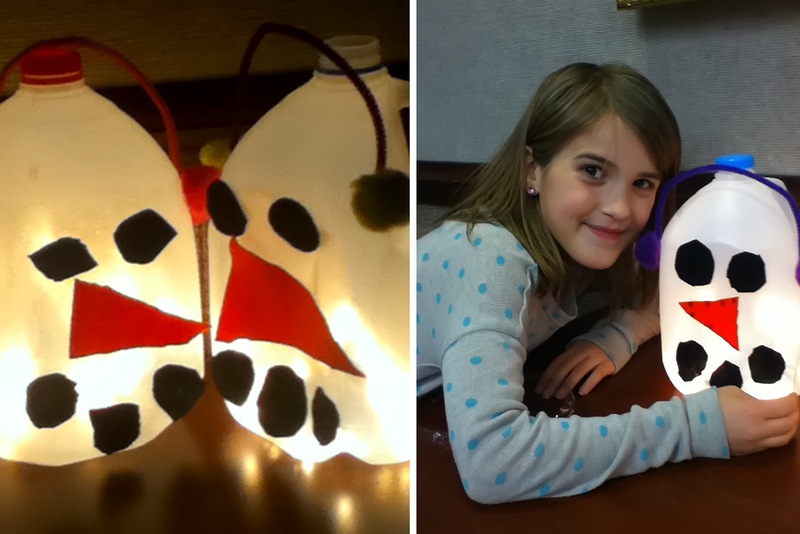 The girls made these adorable snowman laterns from milk jugs and a string of white lights, in Achievement Days tonight. Awesome! 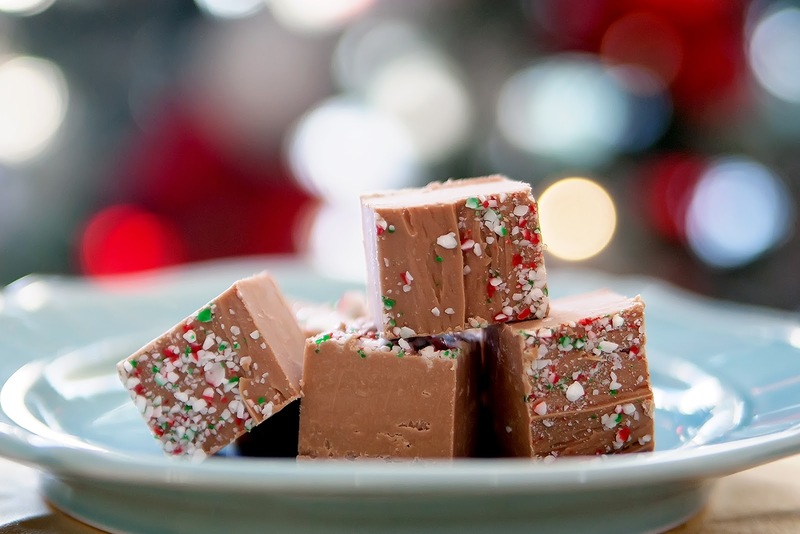 Time to try our hand at making some peppermint fudge! It worked out perfectly - the creamiest, smoothest fudge ever! 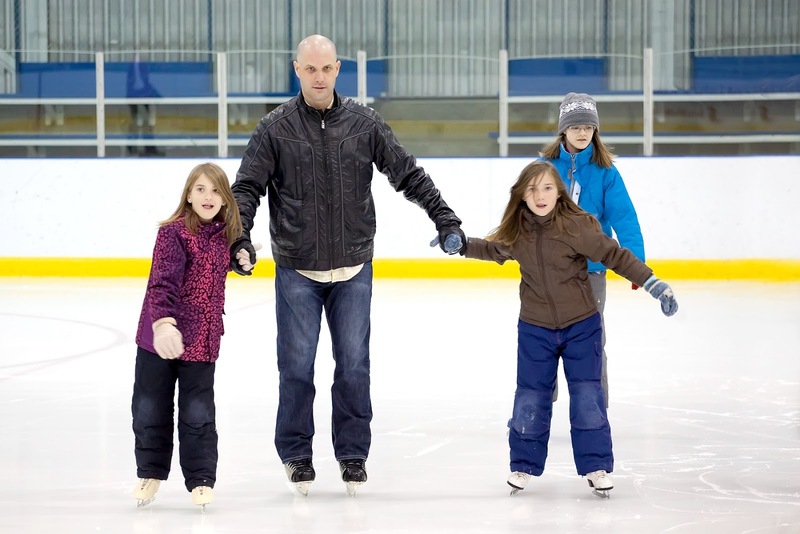 Time for the first ice skate of the year, and the first of our "December Daily" activities!